The most essential piece of equipment a welder will need is an Auto Darkening Welding Hood. This is true for both professional welders and your average every-day hobby welder. Many of the Portable MIG Welder packages come with an el-cheapo hood with a fixed shade lens. While that will in-fact protect your eyes while welding; you will be far more content with an Auto Darkening Welding Hood. The LCD technology utilized in today’s hoods has made them affordable for everyone, regardless of your budget. The beauty of an Auto Darkening Hood is that you can see the area you want to weld before you strike an arc, even with the hood down over your face. Once you begin welding, the LCD screen darkens in just a fraction of a second to protect your eyes from the harmful UV rays. I am so old that these high-tech hoods didn’t even exist when I first started welding. I can remember flipping the hood down and losing my place. Now, you can even jump from one weld joint to another without lifting your hood. You can see everything, and when you strike an arc the lens instantly darkens. 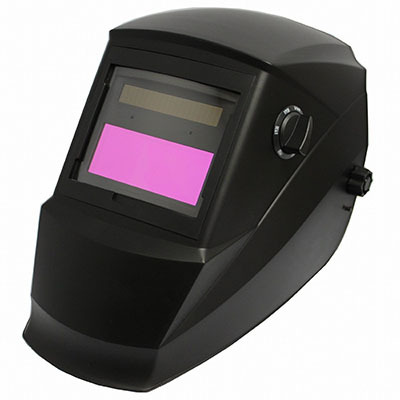 When shopping for an Auto Darkening Welding Hood make sure it is rated for the type of welding you will be doing. Of course most of the new models are adjustable and will have you covered. The next priority is comfort; most welders wear their hoods for hours on end. Finally, consider your budget. You can buy an Auto Darkening Welding Hood for as little as $50 today which is fine for the hobbyist. If you’re welding fulltime, you may want to spend $100 to $250 on a high-end hood. 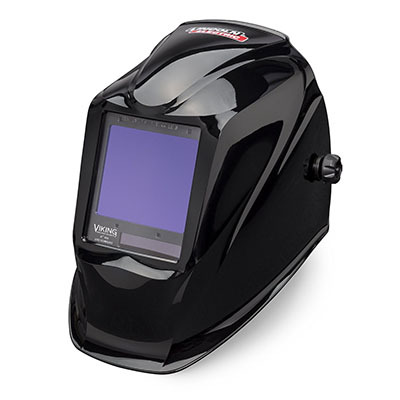 Lincoln Electric VIKING 3350 auto darkening welding hood is high gloss black and features Lincoln’s 4C Lens Technology which provides a much clearer and more vivid view of the welding puddle so you can improve the quality of your welding. Compared to many other brands, this hood offers one of the largest viewing screens available. This can be a huge advantage when working in tight quarters. The Antra AHG-260-000 Auto Darkening Welding Helmet has the added benefit of being solar powered. This is one of the most popular welding helmets in its price range and is a top seller. It offers a large 3.86” x 1.78” viewing area so you can easily focus on the area you are welding. Built with 4 premium sensors, a step-less delay, and an easy-to-use adjustable sensitivity knob; you can adjust this helmet to your liking. 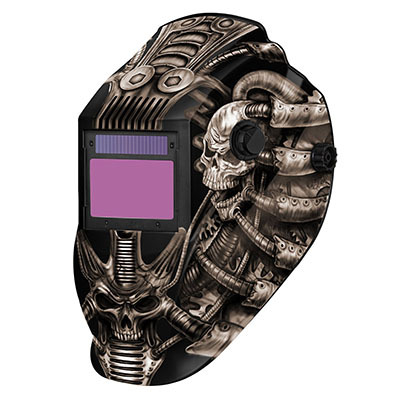 You may not be the best welding in the shop but if you purchase the Metal Man Techno Skull Welding Helmet you may be the coolest welder in the shop. This hood not only has awesome artwork, but it is also a professional grade auto-darkening hood with a variable shade. You can dial it in from a number 9 to a number 13 depending on your welding application. The 5-point adjustable head gear offers complete comfort.